I just love that the re-visioned, God-envisioned STC blog has launched with the coming of April. 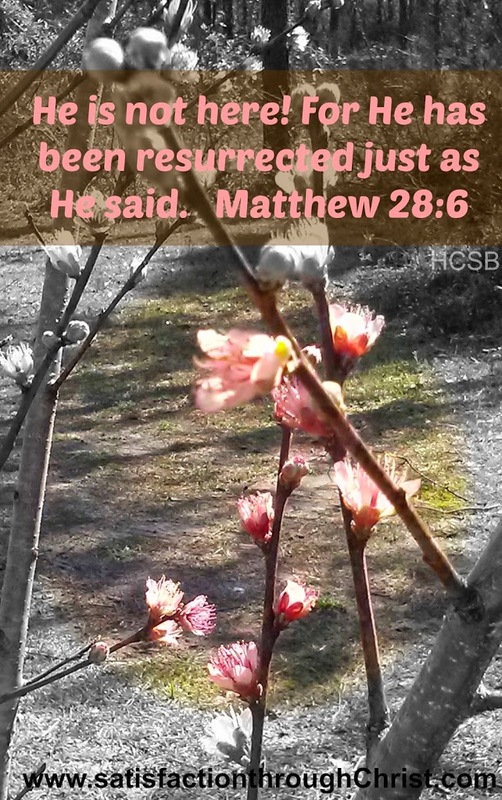 Not only are we celebrating this space which is dedicated to Christ and written to minister to His daughters, we are also rejoicing in the fact that our Messiah is resurrected! He has defeated the grave! That phrase alone brings indescribable joy! April has me grinning and celebrating because there is indeed – a perfect reason – for why Easter is such a happy holiday! April has found me doubly blessed this year because that same Savior has not only conquered sin, He has found the time to perfectly guide my life, Christie’s, and twelve other women’s, to this blog, this April, to minister to and love on His precious daughters! (By the way, we are growing and learning with you!) This wonderful gift brings me to my knees in gratitude, I mean, “How great is the Father’s love for us!”? Now to be honest, I don’t always write or teach with this much excitement, nor this many exclamation points. So here is the but: But despite the great joy, we who are saved, find in Easter, there is also gut-wrenching sorrow. Why? Because the first Easter Sunday brought great joy, the fulfilled hope of life! But the week before, the Friday before, brought great, traumatic sorrow, to the point of death. And because we experience times of God-given joy, but also endure the heart ache of sorrow. Sorrow that also breaks the Father’s heart as He watches over us. After several weeks of prayer I am certain that God wants this day on this blog to be a place of comfort. The Easter saga portrays these opposites of joy and sorrow so poignantly; a reminder that we too will experience both. 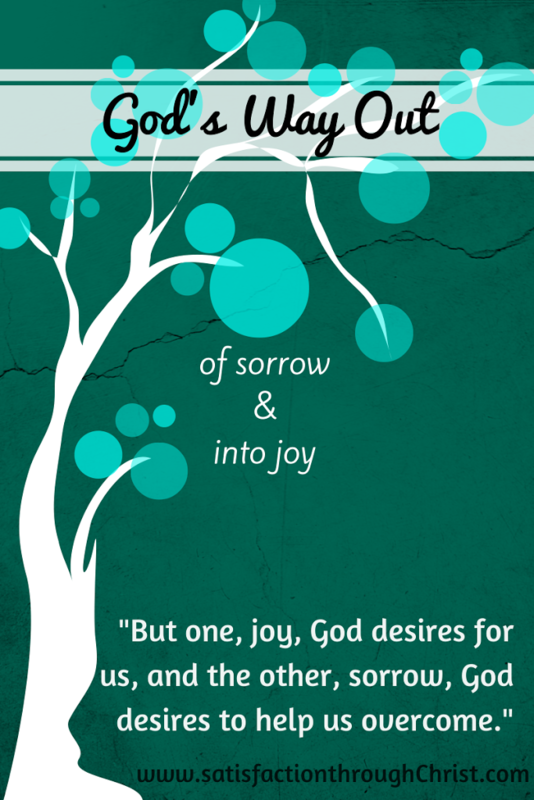 But one, joy, God desires for us, and the other, sorrow, God desires to helps us overcome. Currently my view is tinged with the opposites. I am enjoying the great joy of personal growth in my faith-walk, which has been my hearts desire for the last several years. God has grown me so much in the last couple of years; He has given me my desires! (Psalm 37:4) He surrounded me with the perfect (for me!) family which brings me ceaseless joy, and I’ve watched Him grow my husband’s spiritual fire over and over; another desire given! But the trials are present too. Some bring inconvenience, some bring frustration, and some bring the heart ache of sorrow. Several months ago a struggle began to emerge in my life that threatened to strangle my spiritual growth; it began to be a torment to me causing fear, anxiety, emotional turmoil and many hours of weeping ensued. Yes, sorrow. Without realizing it, my joy was literally being stolen from me! A family member prayed the tiniest little prayer over me, “and Lord, cause Your joy to remain in her; do not let it be stolen.” I realized then, that my joy, promised of God (Romans 15:13), was in danger! When my mom (whom I consider a bff!) was diagnosed with breast cancer, just weeks ago, I felt an increase in the emotional stranglehold the devil had on my spirit. Well, that family member’s prayer, and a little bit of stubbornness kicked into gear, along with my Heavenly Father saying, “that’s enough.” I began to seek out God’s joy. I tracked it down, and began to cry out in prayer saying, “God, I’m ready to leave this sorrow behind and walk in your joy, help me!” I wandered through one verse after another that built the ladder for me to get out of this sorrowful depth. God’s word was my way out; it is always the best way out. I want to share this ladder with you (free printable style! oh yeah! ), but first a warning. God did indeed provide His word and wonderful prayer communication to pull me out, but the enemy still knew my soft spot. In the weeks since I decided to chuck sorrow, and pursue joy, he found one particular sore spot and began bullying me there with great intensity. I am still under that attack. He still wants me to wallow in sorrow. But guess what, I’ve got my ladder. Grab it friends, and haul it around with you, you never know when you may need it! 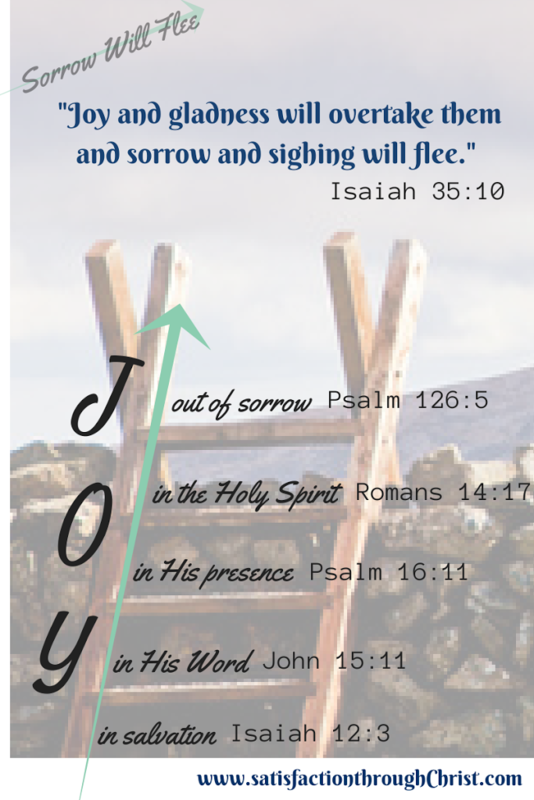 Do you use any certain scripture to hang on to your joy? Do you have a special prayer you whip out when you feel your joy is on the run? Share it with us below! there IS JOY in Christ even when the pain is great. often the pain covers it. Thankfully God’s grace is greater than the pain and sorrow. Your welcome! Thanks for stopping by – it’s so true that God has provided a “comfort” to us! Glad to Rachael! Thanks so much for stopping by! Thanks Mandy. So glad you stopped by!